The Irish Echo take a swipe at Ross Douthat. The New York Times’ recent obituary of its brilliant former staffer Tom Wicker offered just one direct quote from his prodigious lifetime output. It came from 50 years ago when as White House correspondent and it was offered as an example of how he could be entertaining as well as informative. Yes, that’s right – 241 speeches, which works out as just about one per weekday. They helped the president, as the Wicker quote suggests, to quickly put his personal stamp on the new decade, which is one reason why those who were young then tell us it was an exhilarating time in American history. “The harsher view would deem him a near disaster,” Douthat wrote, at which point, he linked online to a 2006 review article by the always readable provocateur Christopher Hitchens, a former member of a Trotskyist cult currently in vogue with right-wingers, who are free to cherry-pick from among the opinions and prejudices he’s carried over. But, really: few serious historians? It’s true that the profession doesn’t place JFK and Ronald Reagan up alongside Lincoln and FDR the way the general public does; however, both poll respectably above the average in those historical rankings. In a Siena poll of 238 presidential historians last year, Kennedy was 11th of the 44, higher than anybody who’s held the office since. Two years ago, C-SPAN’s poll of presidential historians and “professional observers of the presidency” put him at 6th. I take it that Reagan, love him or loathe him, gets high marks from historians and experts for being a “transformational” president during his eight years. He polled 18th and 10th in the Siena and C-SPAN polls. JFK’s lowest ranking was 18th in a 2000 Wall Street Journal survey that made every effort that it be “balanced” with conservatives – which is a somewhat amusing concern, because if ever there was a bunch that you’re not going to see hanging out with Wall Street occupiers, it’s presidential historians. And yet, JFK still made it into the top half of that particular all-time league table, despite serving just 2 years and 10 months. Douthat wants it both ways. 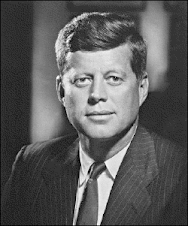 JFK’s speechifying, specifically his inaugural address, led America into Vietnam, he argued in the column; yet on the other hand, he writes that Kennedy was “evasive” on Civil Rights, a view that can only be sustained, and then hardly, if you exclude from the equation the president’s stirring words on the subject. I’ve no doubt that commentators like my colleague Terry Golway, author most recently of “JFK: Day by Day,” would take issue with Douthat’s dismissive attitude to the 35th president’s handling of the Missile Crisis. But it was on Vietnam where his comments seemed to me to be entirely drained of any historical context or indeed real knowledge. Kennedy, who was seen by many in the military and in society at large as being “soft on communism,” was told by the outgoing President Eisenhower that he would probably have to send troops to the worsening situation in Southeast Asia. The new president, though, was convinced by General MacArthur’s advice that a land war could never be won there. The U.S. took over Western stewardship of the region when the French pulled out in 1954. World War II ace and CIA agent James McGovern and his co-pilot Wallace Buford, killed that year supporting the withdrawing colonial power in Laos, were the first American fatalities. Massachusetts native Richard Fitzgibbon, who died in a friendly fire incident in 1956, was the first official death in Vietnam, and the first names to be put on the Vietnam Veterans Memorial were those of Major Dale R. Buis and Sgt. Charles Ovnand, killed by sniper fire in 1959. So, Kennedy’s sending of military advisors to aid the South Vietnamese regime was not the first chapter of U.S. involvement as some might imply. 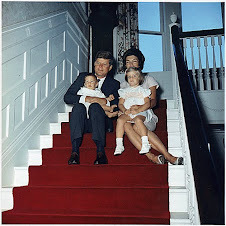 Douthat wrote that the “war’s architects were all Kennedy people: It was the Whiz Kids’ mix of messianism and technocratic confidence, not Oswald’s fatal bullet, that sent so many Americans to die in Indochina.” He was referring to the “best and the brightest,” in author David Halberstam’s phrase about Kennedy’s aides, But some of them, like Robert MacNamara, only became hawks after the president was killed. 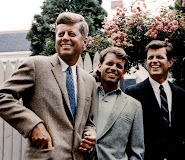 In his 2007 book, “Brothers: The Hidden History of the Kennedy Presidency,” David Talbot, the founder of the pioneering online magazine Salon, wrote that “a conclusive body of evidence indicates that JFK formally decided to withdraw from Vietnam,” beginning in December 1963 and finishing in 1965. That view has since been buttressed by more inside information on one of JFK’s key appointees. Scholar Gordon M. Goldstein was hired in the 1990s by a former national security advisor to help organize his memoirs, but when his employer died he continued with the project. His “Lessons in Disaster: McGeorge Bundy and the Path to War in Vietnam” was published in 2009. Maybe it’s not settled or won’t be, but the very fact that the 83-year-old Pfaff, a highly respected foreign policy analyst and author of 10 books, thinks that it should be is enough to show that Douthat doesn’t know what he’s talking about. You can say you what you want about JFK, but the guy arguably knew more and thought more about the world beyond America’s shores than anybody before or since entering the White House. He had a subtlety of mind and a sense of history that eluded most of the nation’s generals, and he had experienced war in a way that most politicians, including his immediate successors, had not. 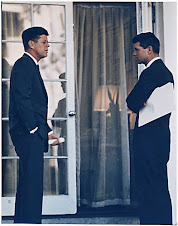 Michael O’Brien, the University of Wisconsin historian and JFK biographer, told this newspaper a few years ago that what struck him most about his subject was how extraordinarily hard he worked during his 1,036 days in office. And we saw from our recent excerpt from Chris Matthews’s “Jack Kennedy: Elusive Hero” his Herculean effort made to build a national organization and to convince the Democratic Party that it could again choose a Catholic as their nominee. So, JFK wasn’t lazy, which is a lot more than can be said, it seems, about some of our modern-day op-ed writers.